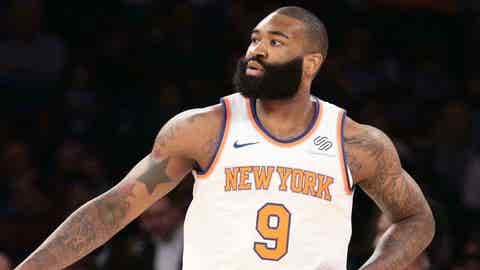 Kyle O’Quinn set new career highs during the 2017-18 season as he averaged 7.1 points, 6.1 rebounds, 2.1 assists and 1.3 blocks per game for the New York Knicks. The Indiana Pacers announced Monday they have signed free agent forward/center Kyle O’Quinn to a contract. O’Quinn set new career highs during the 2017-18 season as he averaged 7.1 points, 6.1 rebounds, 2.1 assists and 1.3 blocks per game for the New York Knicks. He spent the last three seasons with New York and averaged 6.1 points and 5.2 rebounds over 221 games. According to the New York Post, the deal is reportedly for one year, $4.5 million. The decision for @Kyle_OQuinn to come to Indiana was all about "the culture… What you guys have built over the last couple of years."